Maggie Smith: "I led a perfectly normal life until Downton Abbey"
Which of her characters(out of these) did u like best? Do u think she deserved the Emmy she won for her performance in "Downton Abbey"? de keuze van de fan: definetly, she was brilliant! Do u think she did a good job as "Minerva McGonagall" in the Harry Potter movies? Favourite quote from Downton Abbey? de keuze van de fan: "Put that in your pipe and smoke it!" Maggie will be in another movie together with Michael Gambon...looking vooruit, voorwaarts to it? de keuze van de fan: yes, very much!! Which of her films did u like best? What do u think about Maggie Smith? 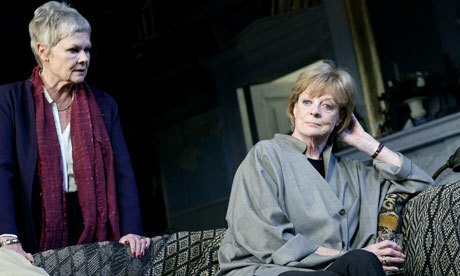 a comment was made to the poll: Is Maggie Smith one of your top, boven favourite three actresses? Which play is this picture from?